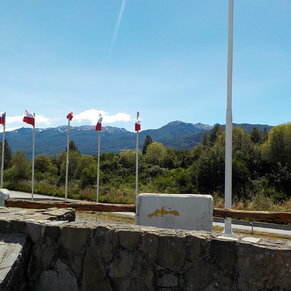 This Chilean town with the memorable name is located along idyllic Austral Road in the Patagonian Steppe. 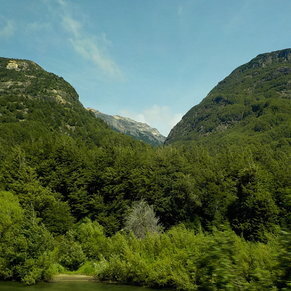 Puerto Chacabuco offers an extraordinary view of nature at its best. From majestic waterfalls to ice-capped mountains, there are astounding sights everywhere. The town is also lined with dense forests, where rare and beautiful creatures may be spotted through a bit of darkened brush. We did the Oceania Patagonia Nature in depth excursion which was excellent. Very nice walk thru the forest and seeing the waterfall. Entertainment at lunch was very good. Great shopping at street stalls. We were able to spend the night in the port area with beautiful mountains coming right into the water. It was lovely sitting on our deck. 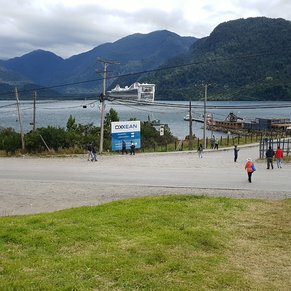 The ship offered extra tender rides that evening - but we choose to just enjoy the scenery and wait until morning for our Puerto Chacabuco and surroundings. Again very lovely visiting Aiysen and the Rio Simson National Reserve. A fiasco, the tours to the lakes extremely expensive. 3 of 5 shore excursions in Puerto Chacabuco, Chile. 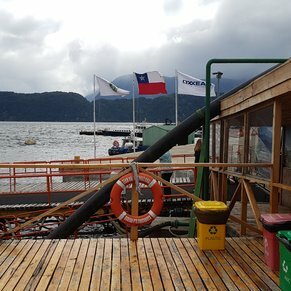 There are currently 0 discussions about Puerto Chacabuco, Chile.